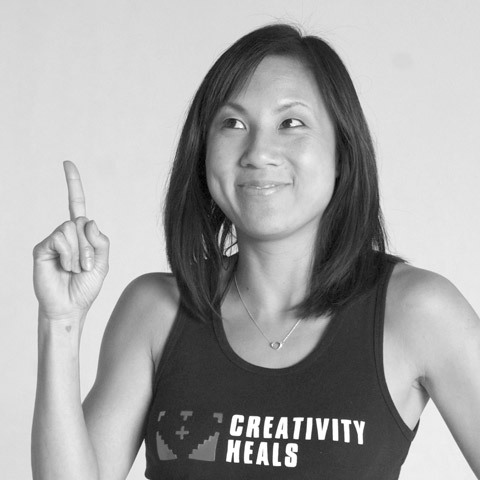 Creativity Heals was founded by Jennifer Kita, Charleen Meyer, Matt Kessinger, and Jonathan Wang in 2011. All founders have a background in the arts (figure skating, dance, art therapy, visual arts, and design) and believe that all forms of art can be healing. After the earthquake and tsunami hit Japan, Creativity Heals coordinated and hosted a fundraiser in the Los Angeles Arts District that featured dozens of artists, designers, professional dancers, DJs, musicians, and foodtrucks for the Sendai Relief Fund. Since then they have raised thousands of dollars through similar events in LA and Vancouver for charities such as the Breast Cancer Fund, Vietnam Flood Relief, CAP/AIDS. Jenny began dancing at the age of 3 with co-founder Charleen, and started with ballet, tap, and jazz. Inspired by watching Michael Jackson and 80’s/90’s music videos, she propelled her passion and dreamed of becoming one of the “Fly Girls” from “In Living Color.” Jenny loved performing with Charleen on their high school dance team as well as hip-hop and jazz funk dance companies during college. After graduating from San Diego State University with a B.A. in liberal studies, Jenny decided to pursue a full-time dance career. Jenny has toured with leading artists such as Gwen Stefani (as “Angel” of the Harajuku Girls), Madonna, Psy, Snoop Dog, Ricky Martin, Shakira, Chris Brown, Britney Spears, Black Eyed Peas, Missy Elliot, and others. Click here to see Jenny’s dance reel! Charleen has an expressive passion for the arts, particularly dance, movement, performance art, and visual art. As a young girl, she took classes in ballet, tap, jazz, and piano. She met Jenny in preschool and they attended dance classes together and participated in a performing arts group. 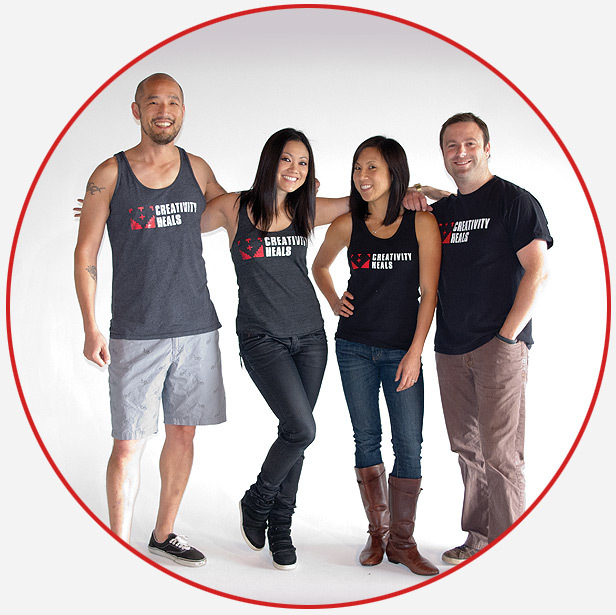 Charleen attended San Francisco State University where she received her B.A. in art (drawing and painting). She continued her education at Loyola Marymount University and obtained a master’s degree in marital and family therapy, specializing in clinical art therapy. The creative arts have helped Charleen in a number of ways throughout her life. She credits the arts for helping to build on her self-confidence and self-expression. Because of her love for working with children, she collaborated with Jenny through a shared vision to provide similar experiences to kids in need. Charleen is currently a somatic therapist and registered art therapist at a high-level psychiatric facility for adolescents. 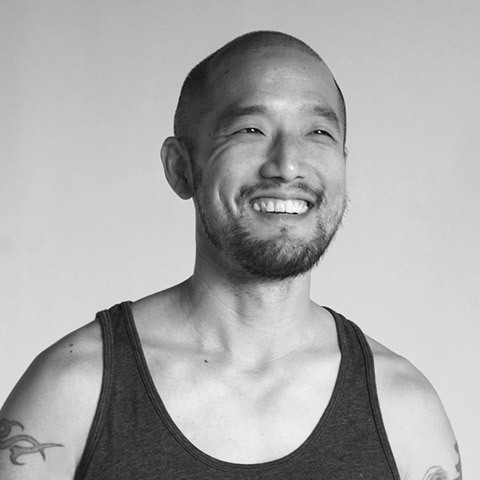 Jon is the founder and CEO of a Los Angeles-based design agency, Eat.Sleep.Work, Inc., established in November 2004. Jon serves as the managing Senior Creative Director of his company and is the Director of Marketing for Creativity Heals. Jon was born and raised in Los Angeles, CA where he developed his passion for the arts and illustration. Immersed in formal illustration training at the age of six, he continued practicing throughout his career. 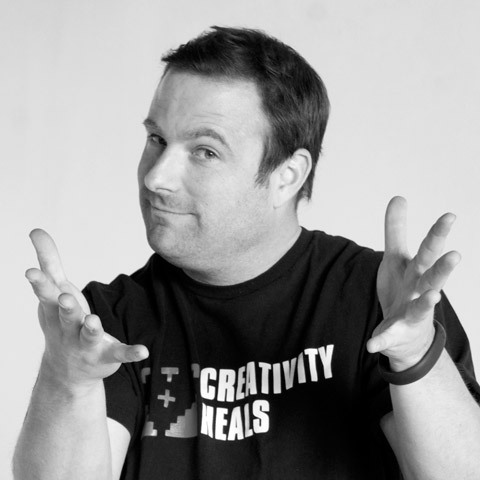 Jon supports the web-design and marketing operations of Creativity Heals. Hailing from Louisville, KY, Matt was a former national and international competitor for the United States Figure Skating Team and the 1995 US Junior National Champion. He turned his talents to professional skating in 1999 and has performed and traveled all over the world in a variety of shows. Matt not only performed but has also held the position of company manager, performance director and install choreographer for several productions. In 2006 he began working in the production office of Willy Bietak Productions in Santa Monica CA, and is a production manager and project manager for shows, tours, promotional events and portable ice rink installations. In February 2010 Matt and his brother opened KESSPRO Studios, a full-scale production studio for film, TV, photography and special events in the Arts District in downtown Los Angeles. Jacob graduated from Cal Poly, San Luis Obispo with a B.S. in clinical psychology. While in school, he worked closely with at-risk youth providing independent living support and therapeutic behavioral services to clients referred by the county’s social services department. Upon graduation, Jacob moved to the Los Angeles area and attended California State University Long Beach to obtain his master’s degree in public administration and policy analysis. During graduate school, Jacob worked as a Crisis Intervention Specialist, providing crisis support to teens with severe behavioral and emotional disorders. Jacob’s experience in nonprofit management and fundraising comes from his work with agencies such as the American Cancer Society, Associated Students, Inc., California State Student Association, Family Care Network, Inc., and Star View Adolescent Center. Jacob currently works for senior administration at the University of Southern California and supports Creativity Heals with organizational development and fundraising. Dana developed a strong passion for all forms of art at an early age. Although her preferred art is photography and doodling monsters, she is not afraid to dabble in all types of creativity. Throughout high school and college she traveled, wrote, learned the visual arts and studied psychology. These passions led her from Alabama to Florida where she received a bachelors degree in psychology at Florida State University. After college Dana moved to Los Angeles and began working at a group home for children as a recreation therapist using art, music, movement and play to help children heal from trauma. Blending her love of the arts and her passion for psychology, she realized the direction her future was headed. Dana attended Loyola Marymount University and obtained a master’s degree in marital and family therapy, specializing in clinical art therapy, and is currently pursuing a PhD in expressive arts therapies at Lesley University. 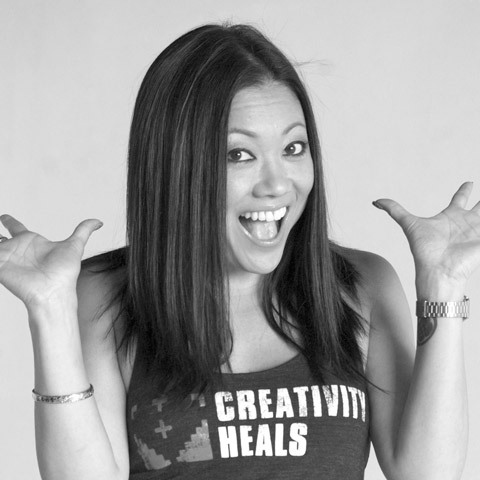 She currently works as the director of training at a secure psychiatric trauma treatment facility, where she met Charleen and was drawn to the mission of Creativity Heals.